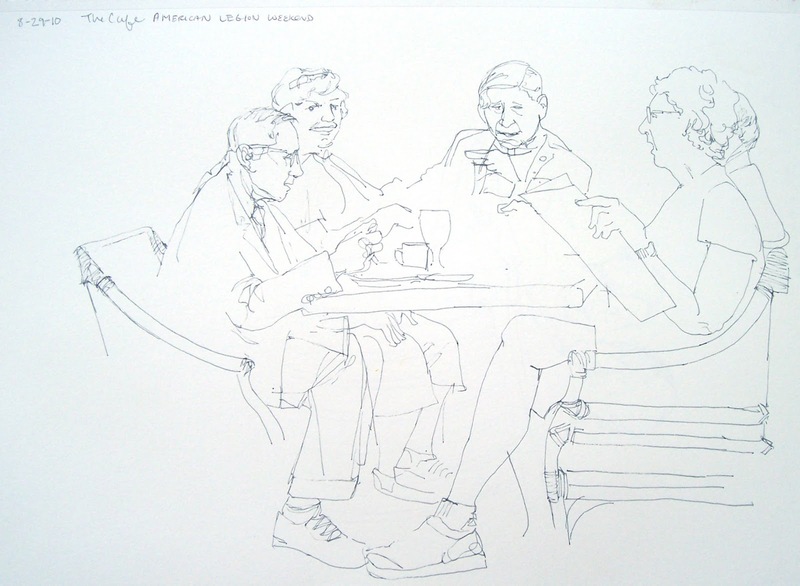 Sometimes, I sneak into the Cafe for breakfast with my sketchbook and take advantage of the fact that people are innocently sitting down to eat and hold relatively still. 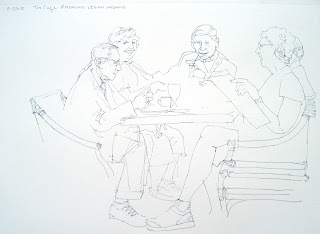 The first sketch is of a table of people from a few weeks ago when the American Legion was in town. The second one is from the luncheon when Rocco Landeson from the NEA visiting Milwaukee.